Do spiders like to dance? Do spiders like music? A couple of comments on one of my previous posts piqued my curiosity about Arachnids and sound – one comment talked about how Harvestmen seemed to enjoy the reader’s singing, and another comment suggested a yellow sac spider moved and grooved (danced?) when a record player was playing tunes. So… it is well known that spiders respond to direct vibrations (i.e., through their webs), but what about sound waves that could be produced by singing or other forms of music? Do spiders like music? Do they like to dance? Being a good scientist, I looked to the literature. Behold, I found a paper published in 1966 in the journal Ecology, titled “Reactions of Orb-Weaving Spiders (Argiopidae) to Airborne Sounds” by Frings and Frings. 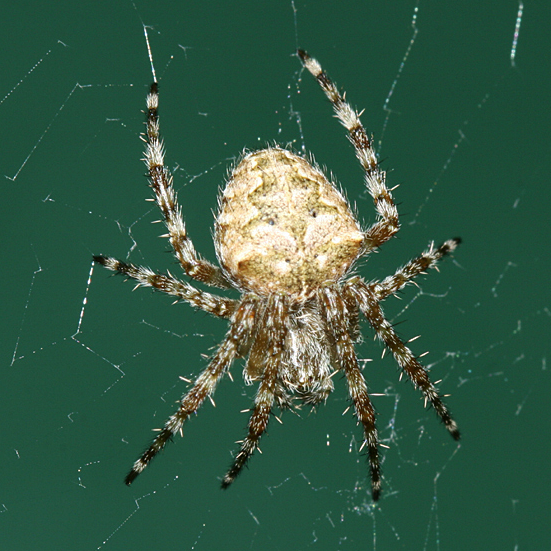 In this paper, the authors used two common orb-web spiders, and asked whether spiders responded to airborne vibrations as well as to vibrations through their webs. Unlike previous papers at the time, these authors separated the two possible modes of vibration (i.e., direct vibrations versus airborne sounds). The Introduction of this paper is wonderful, and provides a series of anecdotes about spiders and sound, including a 1928 citation about how the sensory hairs of spiders moved to the sounds of a mandolin played 5 m away. 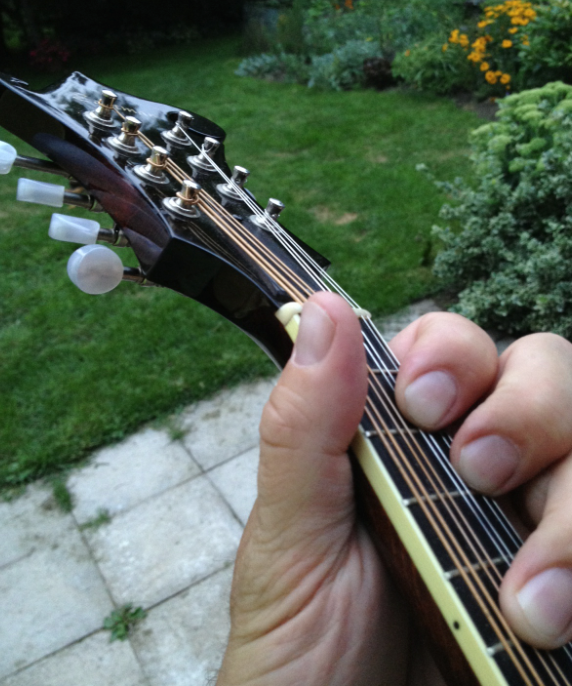 As a mandolin player, I was very excited to read this – and I will keep an eye out for spiders when playing! Frings and Frings collected spiders (including the common orb-web species Araneus cavaticus, of “Charlotte’s Web” fame – it is Charlotte A. Cavatica don’t you know! ), used a fancy laboratory set-up to make sounds (and vibrations), and measured responses by their study species. For one species, the responses were the following ‘1) spasmodic extension of the front legs; (2) jerking of all the legs; (3) shaking the web vigorously by flexing and extending the legs’. Results: indeed, their study species respond to airborne sounds, and their responses occur between 200 and 3000 cycles per second (Hertz) and between 90 and 110 decibels. Strings on a mandolin range from about 196 Hz to 660 Hz; A barking dog has a range between about 400 Hz and 1000 Hz; The range of a typical human voice is between 80 Hz and 1100 Hz. So, if you sing loudly to a spider, play the mandolin for it, or take it to a rock concert, the sound waves produced can elicit responses in spiders. Might spiders like my mandolin playing more than my family? Caveats: the results I mention are for two species only, and it would be interesting to see whether other species responds in a similar fashion. Also, I am personally very curious about how spiders respond to different styles of music – classical, bluegrass, punk rock? THIS is a great research question! Thanks to Tom Murray for permission to use his photograph – more of his work can be viewed here. Tempted to become a scientist just to do this study…. I have a video on my instagram of a daddy longleg shaking his web violently to the musical stylings of Die Antwoord. I showed my zooology major friend who directed me to this page. This is of interest to me, wondering if spiders know when ppl talk to them. I kept a female grass spider in my window, named it grassy. Whenever id vacuum, itd run to the edge of window sill, staring, bothered by the sound. If it was a dog it would’ve barked, the way dogs bark at vacuums. It became hysterical by the sound. Also should note that I talked to it a few times before that. I’m betting the original poster was talking about the spider (Pholcid House Spider aka Cellar Spider). So your statement to another poster that “Daddy Longlegs are not venomous is also a misdirection. Some are.